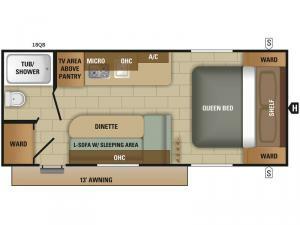 This Starcraft Mossy Oak 18QB travel trailer is perfect for a couple or small family. As you enter, you will see the Lg. wardrobe to your left and the dinette with L-sofa to your right. The tub/shower is easily accessed straight in the trailer. 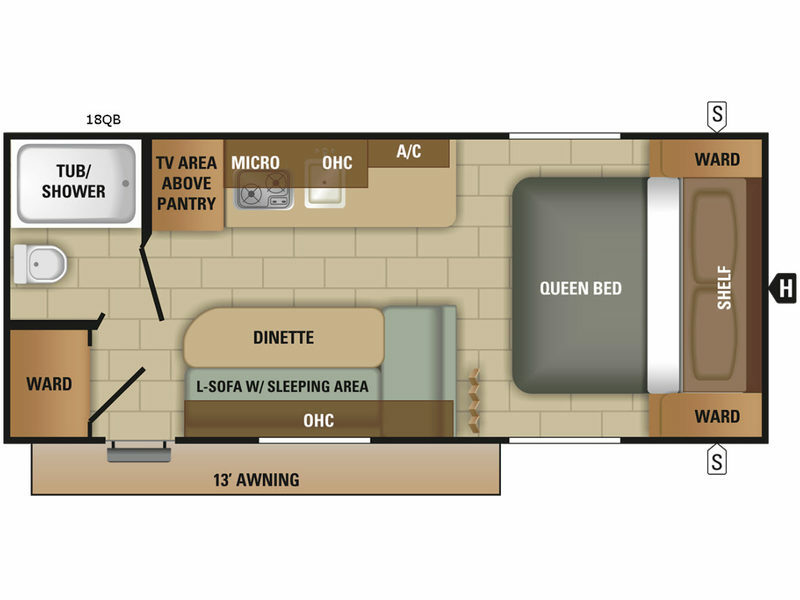 The queen bed is located in the front which provides you with more privacy.